It is time to welcome back the wonderful Brainy Beginnings Network! 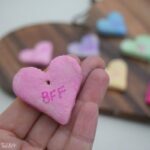 Last year, she shared some amazing Mini Vase Cards (for real flowers!) 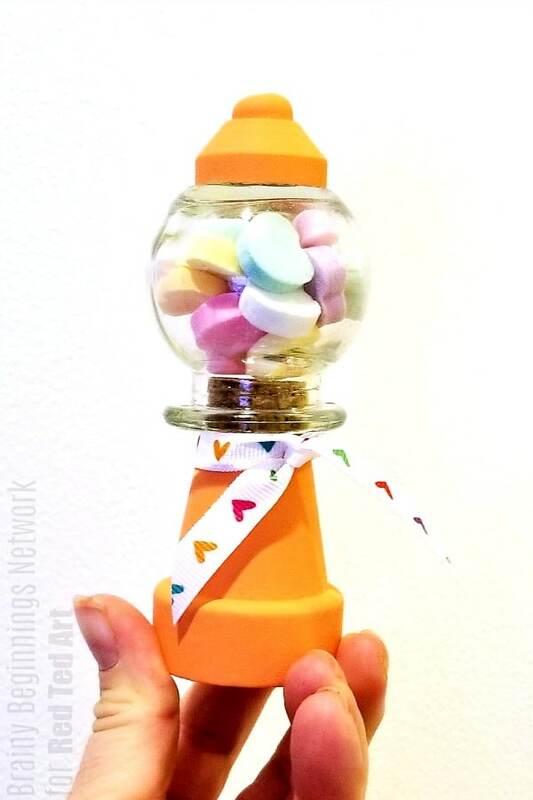 and this year she is no less delightful by creating this super fun Mini Gumball Machine for Valentines. 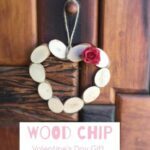 Oh my, what a great little Valentine’s Day Gift Idea this makes! 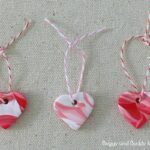 The kids will adore making this Valentines Day Craft!! 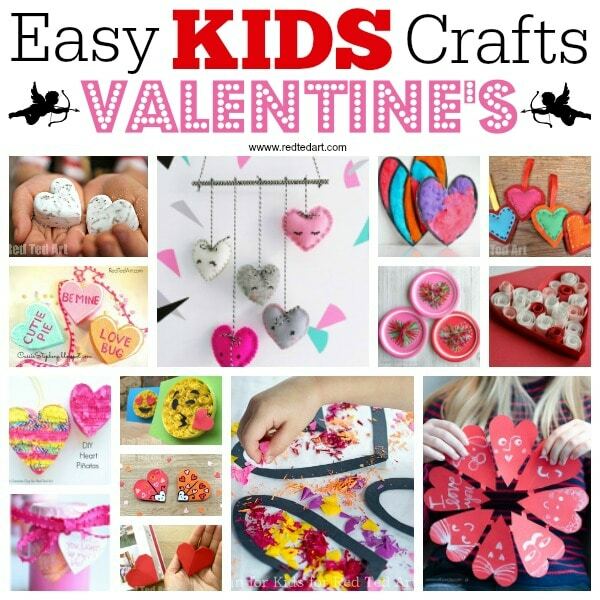 Love is a perfect reason to craft. Thankfully, Maggy from Red Ted Art thinks so too! 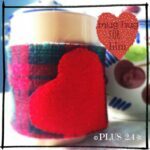 She invited us to participate in the 31 Days of Love series again this year. We are so glad about that! 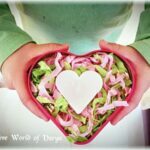 Here at Brainy Beginnings Network, we can think of nothing more important than loving one another. 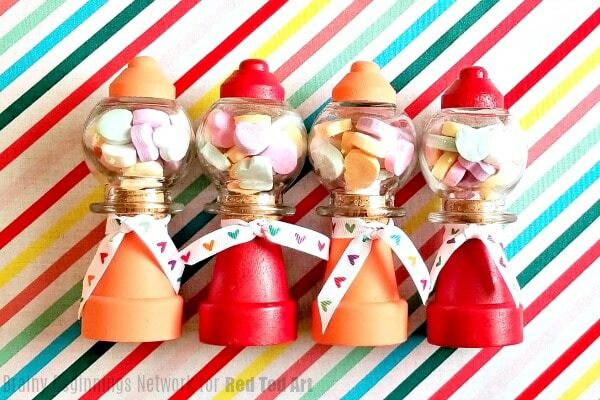 As Valentine’s Day approaches, consider making these incredibly easy Mini Valentine’s Gumball Machines! 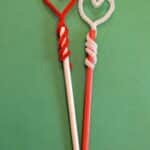 They are fun, easy and most importantly, you CAN access the candy! Woot! 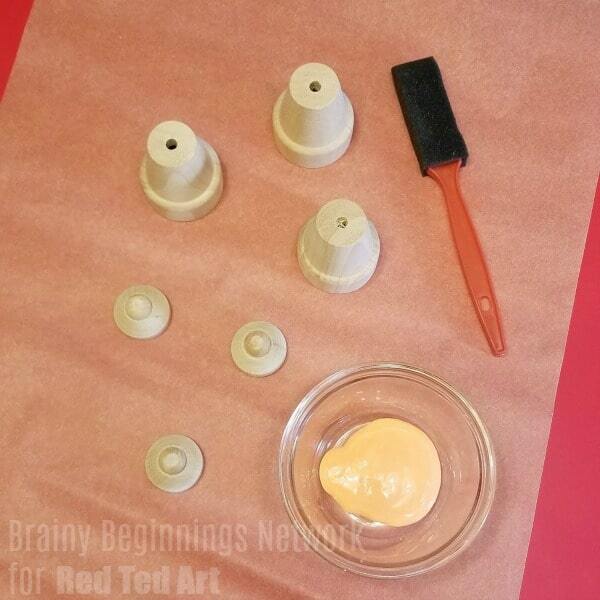 Glue the axle cap to the doll pin stand. Let dry. 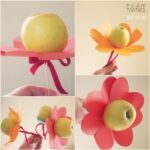 Paint the flower pot and axle/doll spin stand in desired color. 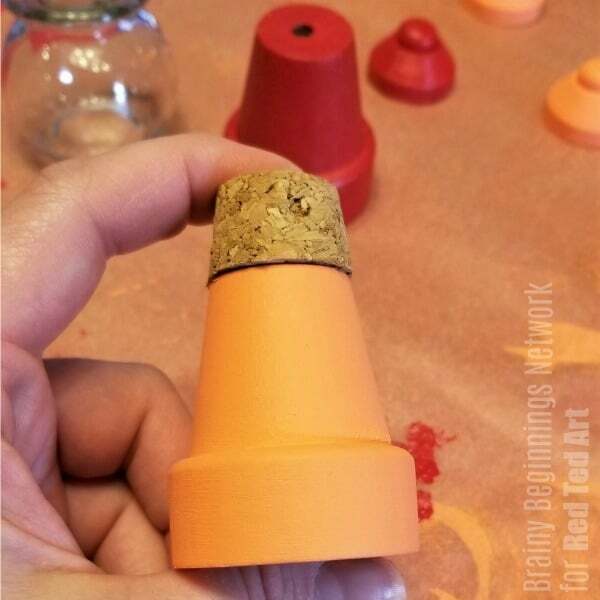 Glue the top part of the cork to the bottom side of the flower pot. 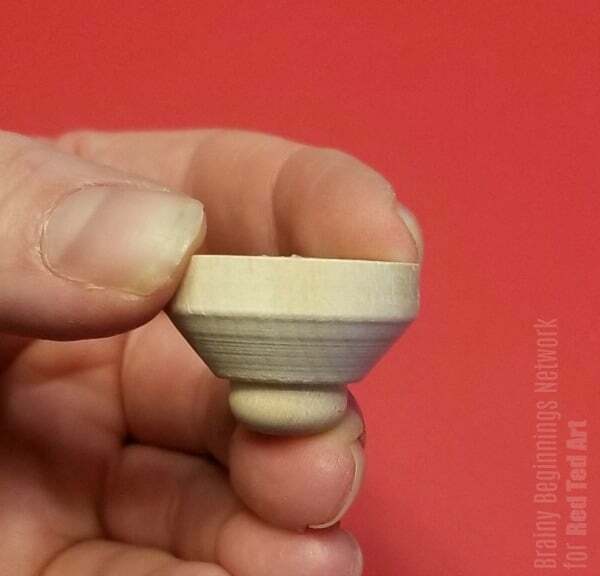 Glue the axle/doll stand piece to the bottom of the jar. Wrap ribbon around the underside of the jar. Hand out to all your loved ones! Hello! My name is Mary Alice! I am head goof at Brainy Beginnings Network. 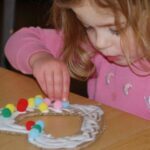 We attempt to make low/zero waste crafts for big and little people! Crafting responsibly is really important to us! 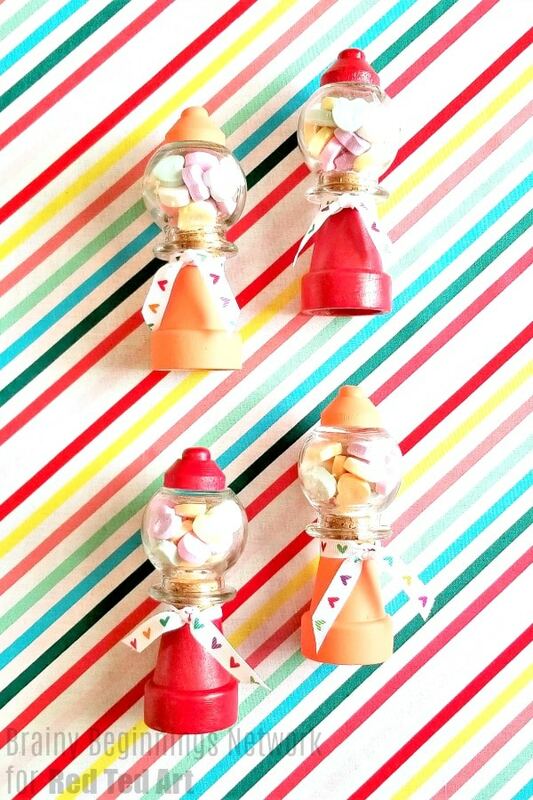 We strive to create original, amusing and whimsical crafts/ food for you to try. Head over to the site and see for yourself!